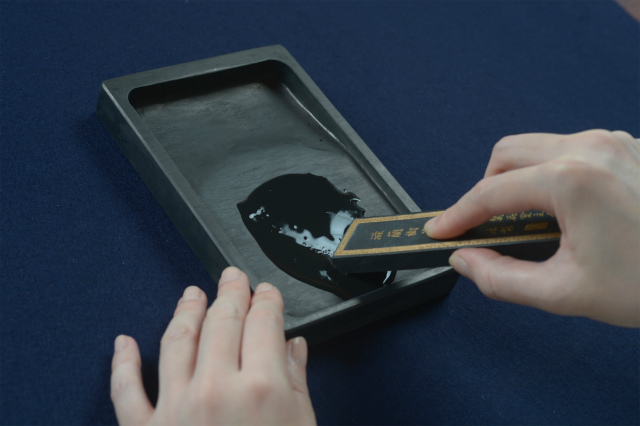 In the case of a solid inkstick, just hold it lightly, not try to put too much strength. If you are a beginner, try to adjust by putting the sumi-contained tip of the brush on the paper. As grond sumiink does not keep long, try to use it all at a time. 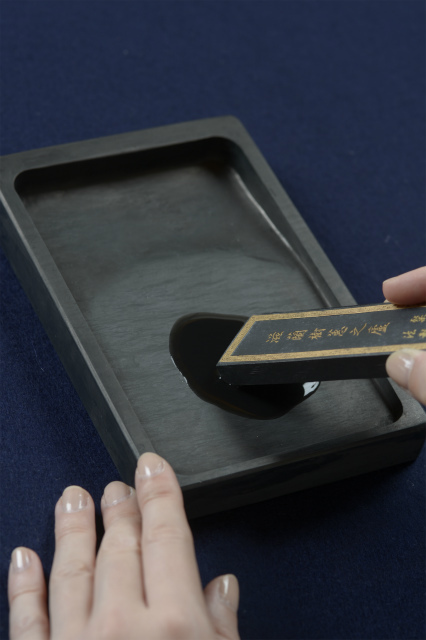 Grind the inkstick as if you are writing the kana letter “no”. Grinding a little while, you will get sticky ink. 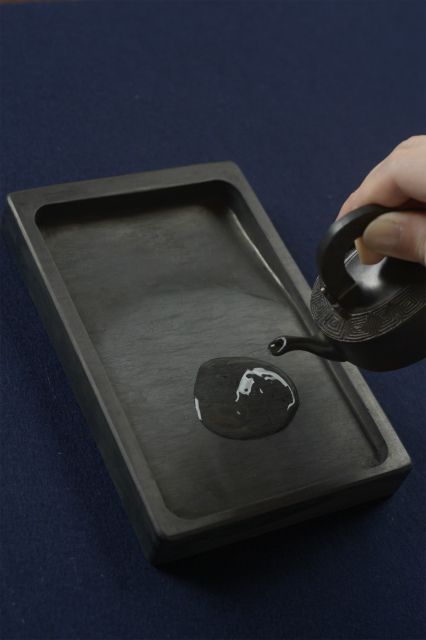 If you put water into thick ink, you will get clear good ink.